In many cases, patients only need the typical cleaning or examination from their dentist every six months to keep their oral health in check. However, what do you do when you need a level of expertise or dental device that is more complex, such as for treating sleep apnea? Where do you go when your denture is old and needs replacement? What if you need another prosthetic? The answer is from a certified prosthodontist in Orange Park. To learn more about the differences you can expect, keep reading. A general dentist will perform all the typical duties you’d expect during your routine visit. This includes a thorough exam, a cleaning, X-rays, fluoride treatments, and providing recommendations based on your current oral health. While some general dentists are able to provide some services conducted by specialists, such as orthodontic or endodontic treatment, it doesn’t make them a specialist in the field as a whole. In many cases, a general dentist will refer patients out of the office to a specialist for certain procedures. Since there are many kinds of specialists out there, this can vary dramatically. It truly depends on the level of care they determine you need. For example, most general dentists perform root canals with little issue, but if the patient’s case is complicated, they may advise a specialist for additional consideration. Keep in mind that all specialists are also dentists. They either have a Doctor of Dental Surgery degree or a Doctor of Medicine in Dentistry, allowing them to perform the basic duties of a general dentist. However, dentists often choose a specific subject to study, typically after graduating dental school. In this case, your dentist in Orange Park chose prosthodontics. A prosthodontist is specialized in replacing or restoring teeth through the design and creation of crowns, bridges, dentures, and other prosthetics. To receive this training, dentists can study the subject during their residency, typically for one year. If they want, they can pursue an additional 3 years to earn a specialist certificate. If they want to go even further, they can also become board-certified eligible. This requires them to pass written board exams and prove their expertise in their specialty. 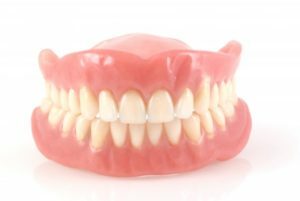 When visiting a prosthodontist, you aren’t just getting a dentist who can make a denture. They work closely with other members of your oral health team to find solutions to complex oral and maxillofacial issues. When you have a complex problem that a general dentist can’t solve on their own, you can expect a prosthodontist in Orange Park to have the answers. To learn more, schedule an appointment today! Dr. Matthew Nawrocki earned his DMD degree from the University of Florida College of Dentistry. After graduating, he pursued a one-year fellowship in prosthodontics and eventually earned his specialist certificate and master’s degree in Dental Science. To learn more about his practice, contact him through his website.